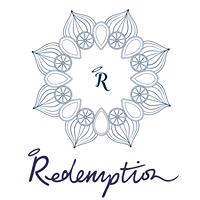 Redemption was established in 2016 after 2 years of pop ups. We have three restaurants in Notting Hill, Shoreditch and Covent Garden. We are 100% vegan, wheat free and refined sugar free. We have a fully stocked bar and innovative cocktail list with sparkling wines and beers but they are all alcohol free! Our motto is, spoil yourself without spoiling yourself. Eating a healthy plant based diet should not be boring or restrictive but flavoursome, nourishing and indulgent. From juicy burgers, innovative raw salads to raw desserts, we want our dishes and drinks to showcase the best in plant based food. Our ethos is about creating not only a great customer experience but also helping improve the lives of our staff, animals and the planet by thinking consciously about what we eat and how we affect the city and world we live in.